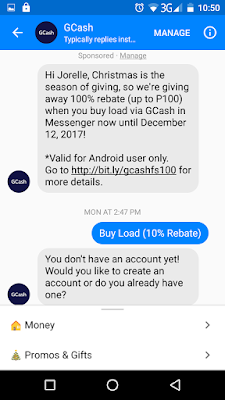 Sakto, I have no load for few weeks now so I took it. 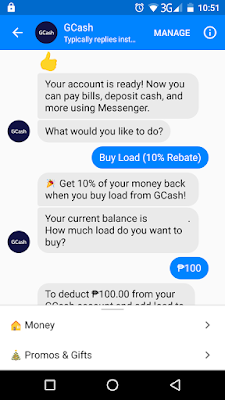 I clicked first on the given link to learn more about the details, baka kasi may catch then after kong makasiguradong wala nun, I followed the steps stated on the link. 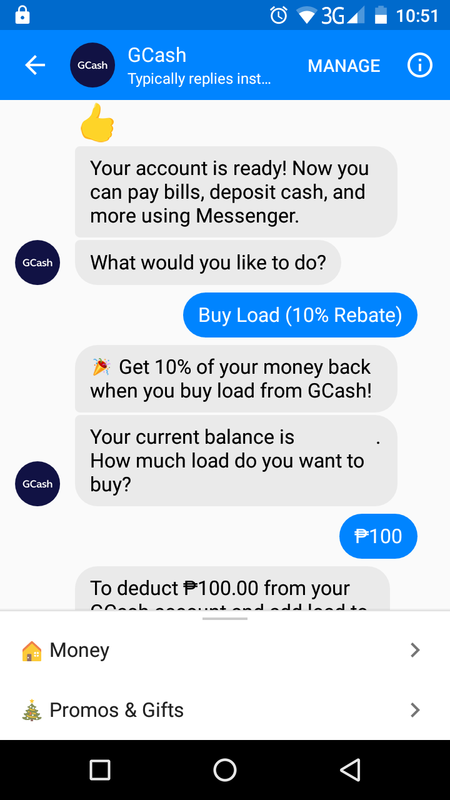 I still hasn't linked my GCash account to my Messenger pala. 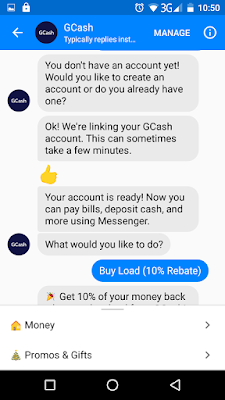 Just followed the steps provided on how to link my GCash account to Messenger and tried to buy load again. 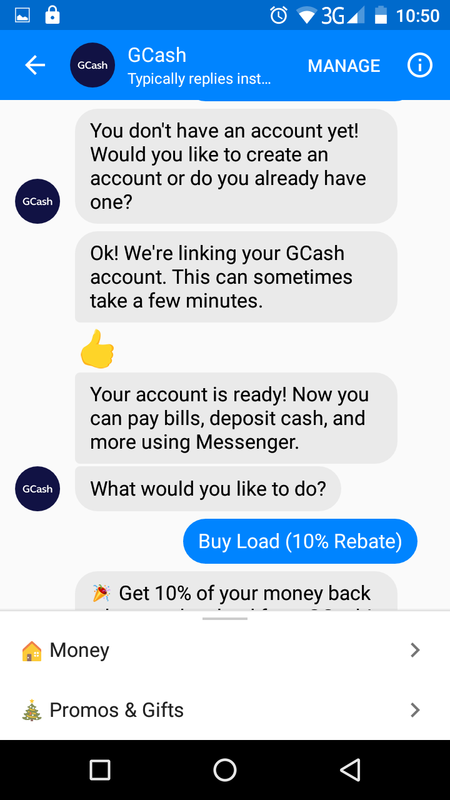 A Confirm button appeared at the bottom and I just clicked on it and got a confirmation message from them. 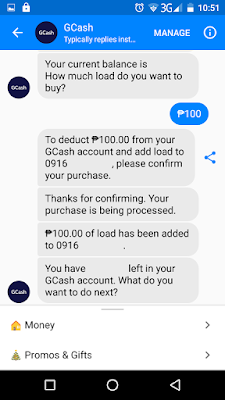 Indeed I got my P100 load and got my 100% Rebate the next day! 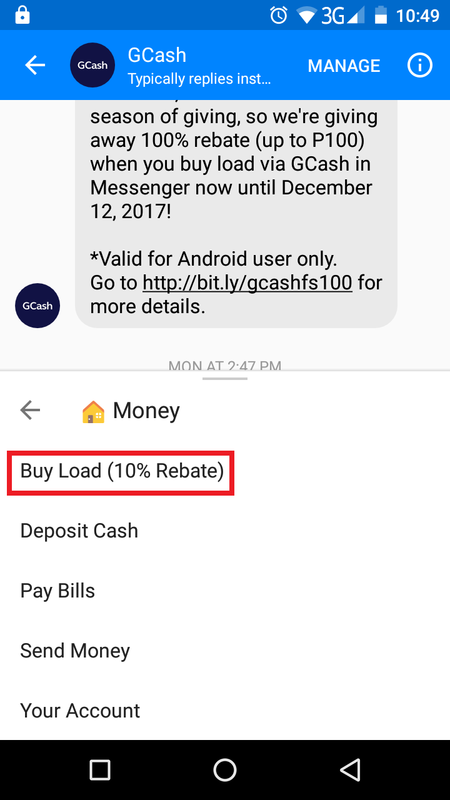 Hiwalay pa iyon sa standard na 10% rebate tuwing nagba-buy ako ng load from GCash. 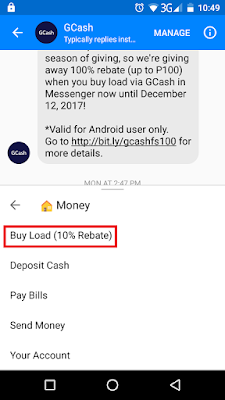 plus the 100% rebate the next day. 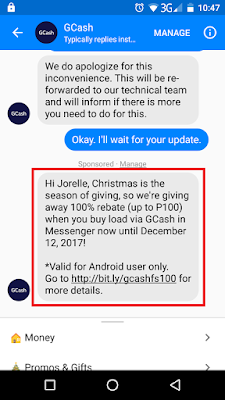 So all in all, I got a 110% Rebate from GCash. That is so amazing! 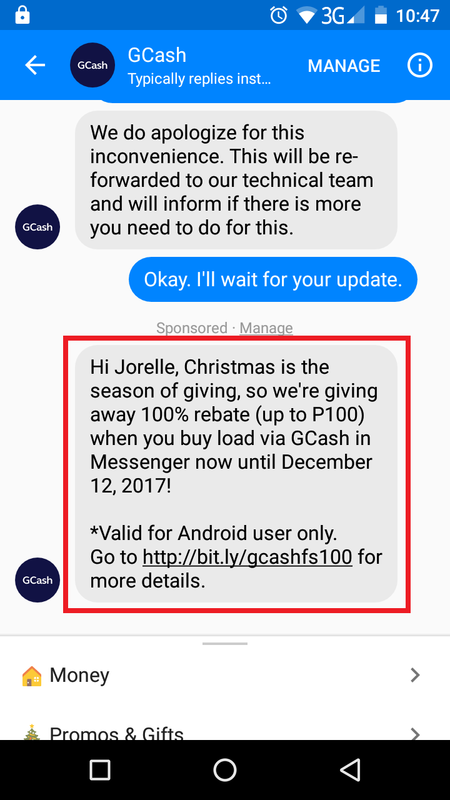 This is what I like about Globe's promos: it is straight to the point. No catch. Walang cheche bureche. 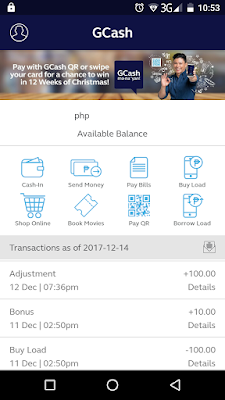 I also had an experience from Globe Rewards last September where points were doubled! 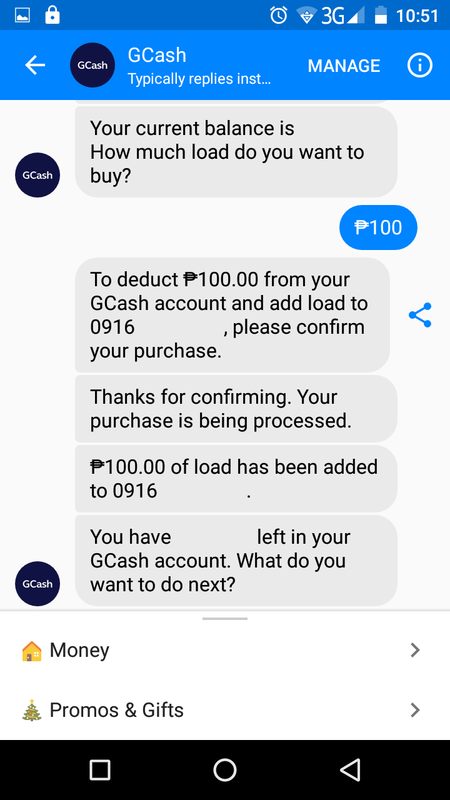 I got to shop with my aunt and dine with her on the selected Globe Rewards partners with as simple as using your phone to text that G.R. partner's phones how much points you will be spending and since points are doubled, you just have to divide your bill by 2 and that is it.